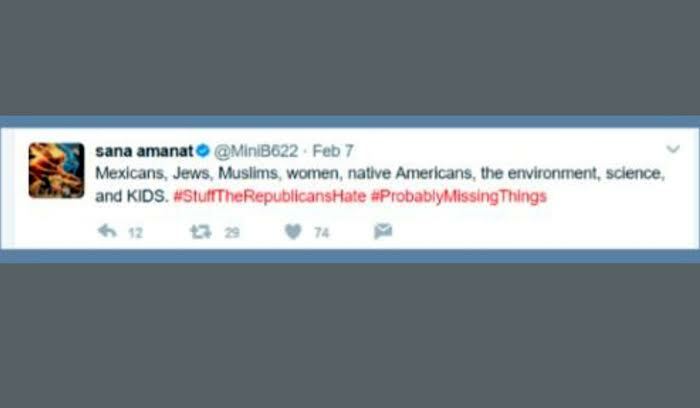 The Four Color Media Monitor: Sana Amanat posted some disturbing tweets after C.B. Cebulski said Marvel was committed to "diversity"
Sana Amanat posted some disturbing tweets after C.B. Cebulski said Marvel was committed to "diversity"
The mistake Cebulski made besides not cross-examining employees like Amanat was stating Marvel was focused on diversity instead of stating their focus was on entertainment and making the audience happy with decent escapism. However, Quesada's quote is hilarious considering within a short time of his ascension to EIC during 2001-2011, he turned the company very PC, barring depictions of smoking, for example, a very short time after Marvel stopped using the Comics Code Authority. One of the few who was allowed to depict anybody smoking at the time was Brian Bendis when he wrote Avengers. And let's not forget how PC Quesada was with the Spider-Man lore, tarnishing Gwen Stacy before going out of his way to break up Peter Parker's marriage to Mary Jane Watson through a pact with Mephisto. And that's just a few of the examples that took place when Quesada was EIC, and got considerably worse by the late 2000s. For now, if something's clear, Amanat has to be held accountable for her crude garbage comments, and should be told to apologize, which so far, she doesn't seem to have done. Until then, the audience can vote with their wallets and avoid anything she's working on. Update: here's more on the issue at Big League Politics (via Blunt Force Truth). You have to be careful. If you call for a boycott of her over some lighthearted deleted comments made by her on Twitter, mostly ironic rather than serious and all less incendiary than the comments this site has made about her over the years, then doesn't that just justify blacklisting people like Chuck Dixon, the author of the current Bane miniseries and someone who has produced avowedly political work? If an offhand comment calls for an apology, how much more does Clinton Cash call for a publisher to exercise caution about him? Better to give room for everybody to exercise free speech, not censor people with boycotts and blacklists.